NYC Hypnosis Programs that can change lives….The staff of the New York Hypnosis Center is dedicated to helping clients experience profound and accelerated change. We feel privileged to assist those who are compelled to bettering their lives. In order to better serve our clients, the sessions and programs we offer include a blend of Hypnotism, NLP, Life Coaching, Kinesiology, and EFT. Eli Bliliuos, the president and founder, specifically tailors each NYC hypnosis program to meet the individual needs of each and every client. 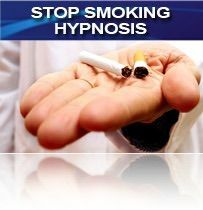 Individuals seek out hypnosis to assist with, or overcome a multitude of challenges, including weight loss hypnosis, self-esteem, stop smoking, sleep enhancement , stress relief, eliminating bad habits, peak performance, overcoming limiting beliefs, fears & phobias, improved test taking, pain relief, creative blocks, stammering, relationship enhancement, depression, lose weight hypnosis, focus, substance abuse, PTSD, childhood trauma, negative self-talk, memory enhancement, speaking in public, obsessive thoughts, moving on after a breakup, forgiving oneself, spiritual awareness, test taking anxiety, and self-empowerment. The Hypnosis NYC programs include the most up to date hypnosis and NLP techniques. Hypnosis is a totally natural modality that can empower clients to access internal resources that can allow for dramatic and life altering change. While clients are in hypnosis, suggestions are given to the subconscious mind that can enable them to move beyond limiting beliefs as well as habits quickly and easily. 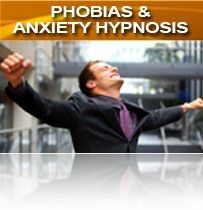 Contrary to popular beliefs, while experiencing hypnosis, clients are aware and never relinquish control. Your New York City Hypnotist works with you and guides you on this profound healing experience. 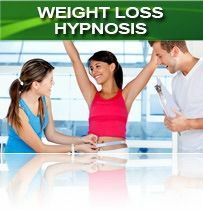 New York City hypnotist Eli Bliliuos also facilitates comprehensive and engaging hypnosis trainings. The training combines Hypnosis and NLP Coaching certification to ensure that our students have the necessary tools to help facilitate change. We also provide advanced specialty trainings for hypnotists who wish to expand their knowledge and/or study a specific niche within hypnosis. These specialty areas can include, but are not limited to, medical hypnosis, regression, drug addiction, and relationship challenges. This training is offered in many of the major U.S. cities as well as online, utilizing streaming (live) or pre-recorded video that can be accessed and reviewed at will via the NYC Hypnosis Center’s video training portal. For those who prefer not to travel, Webcam/Skype sessions, phone sessions, and hypnosis/MP3s are an effective and practical alternative to in person sessions. Erectile Dysfunction Hypnosis NYC E.D. Have a Challenge that’s Not Listed Here? We Can Help! For those who prefer not to travel, Webcam/Skype sessions, phone sessions, and hypnosis/MP3s are an effective and practical alternative to in person sessions. For those who seek spiritual enlightenment, the New York Hypnosis Institute offers Past Life Regression sessions as well as Life Between Lives Regressions based on the work of Dr. Michael Newton. Clients can choose to schedule a session in one of our many locations including our Hypnosis NYC Center, Long Island/Queens Hypnosis, or our offices located in Miami Beach and Hollywood Florida. The New York Hypnosis Center services the following areas in the tri state area and South Florida: New York City, Queens, Manhattan, Westchester County, Brooklyn, Orange County, Staten Island, Pennsylvania, Bronx, Rockland County, Long Island, Miami, Ft Lauderdale, Nassau County, Connecticut, Suffolk County, and New Jersey. 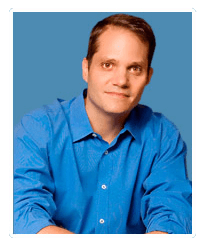 Eli Bliliuos, a well renowned hypnotist, travels within the U.S.and abroad to provide comprehensive and engaging hypnosis certification and continuing education classes.